Check WoW progress for our open slots. PLEASE STATE IF YOU ARE APPLYING FOR THE MAIN TEAM OR THE FOSSIL SQUAD. For how long have you been playing World of Warcraft? How did you hear about Inner Sanctum? Why Inner Sanctum and why should we accept YOU? Do you know anyone from Inner Sanctum in-game or irl already? If yes, who and will they vouch for you? What is your raid experience (on any character and including past experience)? Do you have a microphone and are you willing to use it during raids? Can you attend all of our raid times listed in the rules? How often do you expect to miss a raid? (note we have an 80% attendance requirement and do track raider attendance). How much do you play outside of raiding times? How would you describe yourself as a raider? What addons do you use to improve your raiding performance? You're free to add extra information if you feel like it! Use this template for our Social Team. What do you expect from raiding in Inner Sanctum? 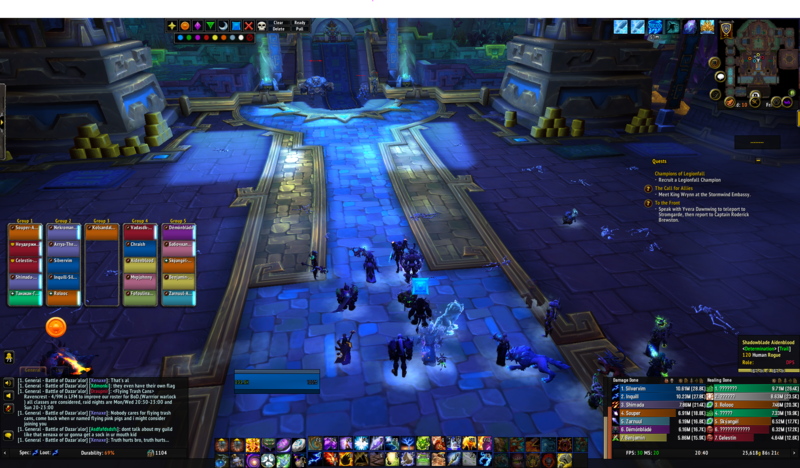 im used to play with stange behaviour-ravencrest as main tank/dps. but as i got back from a break during new year they were not clear in the info that they give me and as i got my char rdy they did not want my class, even, they did not want a 2nd ele shammy. they asked me to reroll bommie/shadow priest which i did not like. i went to keeptrying-ravencrest for this tier. but im not a fan how they handle raid stuff. not taking the best setup for the raid or slacking on setup and so on. i only know ingame opo for some years. i start raiding with guilds in WOD in HFC where i got 13/13m. in legion i got 7/7 m. then i stop raiding with my guild as there were some problem with the another tank so i quit because of the drama. i expect ppl meet up and are rdy at the raid timer. ppl have always read up on new mechs/new bosses. ppl are doing what is best for the raid and not them self. if i got no plans IRL i got up to 16 hours a day. but normally around 8 hours. i dont talk so much unless is needed during raids. im always focus on doing what the raid req´s for me. marking a prio list of each fight so i always know what to do 1st. im normally slacking around 10-15 mins before raid and sitting rdy and getting rdy for the raid. Info about you and what you do when not playing WoW:i work on/off atm. got no stable job atm. unless i just slack with friends/gf nothing special. as i said i got back from a break at new year time. my plan is to get 3-4 alts going. as i really like to push mythic +. i really like the feeling when u get a high key or world first keys done. kinda the same as u kill a boss on progress after many hours of progress.